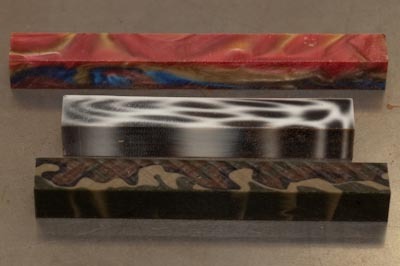 With the upcoming Carbatec pen demo (31 July), I have been giving some thought to the whole pen-turning process, and just what equipment I use these days when making a pen. Before I start (and you may have already glanced ahead at the collection of photos), remember that pen turning is a good beginner exercise, and as such you do not need such a collection of tools to produce a pen. They help obviously, but are not mandatory. Even the lathe is optional. 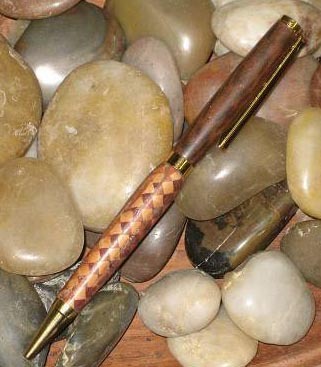 You can turn a pen using other means, the primary alternative being the humble drill press. 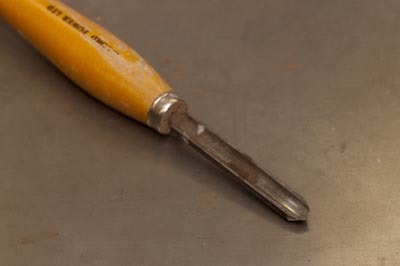 You don’t even need turning chisels – many a pen has been made using a sharpened screwdriver. A lathe makes life a lot easier of course. I haven’t used a dedicated pen lathe, but my feeling is they would be too underpowered to really be effective. You can use a belt-driven one or variable speed – I tend to run it flat out for pen turning, so that makes the decision rather moot. I have a mini lathe, but it would be no issue using a larger lathe as well. So long as the lathe is accurate (the two ends (head and tail stock being directly in line). 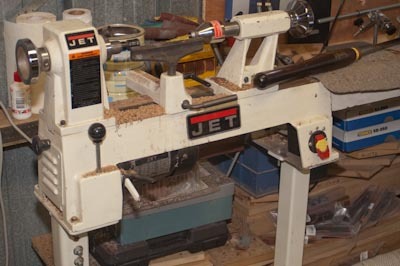 A variable lathe does have the advantage when dealing with larger, or more out-of-round blanks – being able to change speed easily without having to move belts between pulleys. 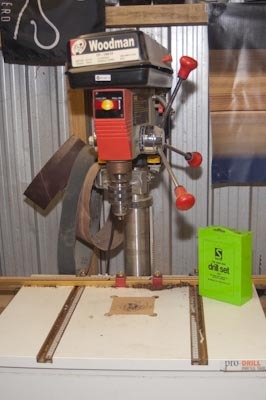 A drill press can substitute as mentioned – turning the pen vertically rather than horizontally. It also is particularly useful for drilling the centre of the blank to insert the brass tube core. This drill press has the laser attachment for centering the bit on the blank. 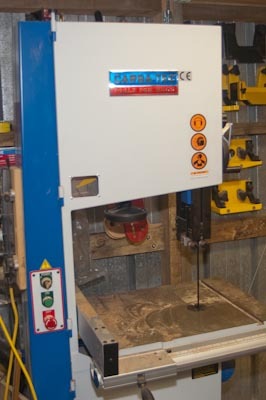 A bandsaw is useful for easily trimming the blanks and can also be used to knock the corners off before turning if the blank material is prone to chipping/splitting during the initial turning to round. …..found a poor version back from about 2006. Made from Red-gum, Pittosperum and Purpleheart. I only made the bottom half of the pen in harlequin – wasn’t happy with the result to justify continuing this experiment, but the principle is valid. I also made this slimline for an informal pen comp where the theme was cross. I went with a traditional cross, with the obvious religious overtones. So I decided to take the photo on the woodworker’s bible (no insult intended). 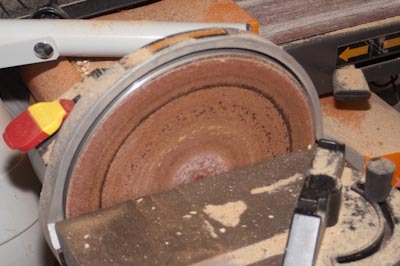 I find I use a disk sander for some jobs as well – trimming the ends of a blank down close to the length of the brass insert ready for the pen mill. It isn’t particularly critical – I use it because it is available, and convenient. 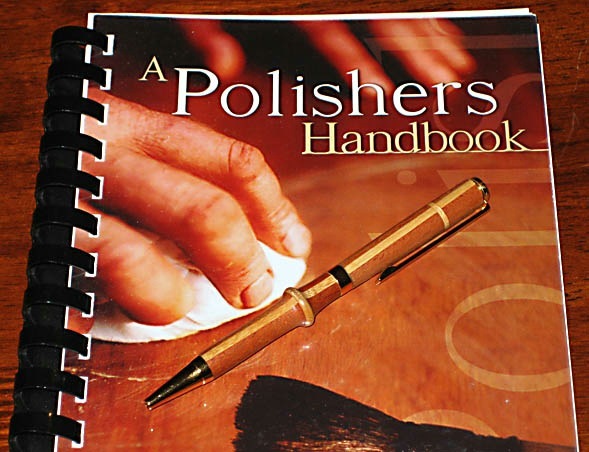 As far as turning tools, you can go the whole hog – roughing gouges, skews, gouges. 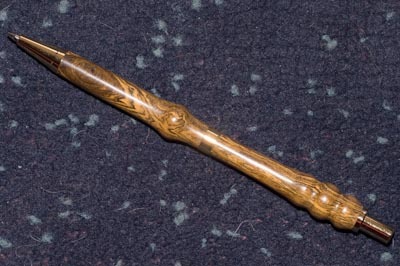 For a long time this was the only one I needed – a basic spindle gouge. Used it for roughing and finishing, and details. Even with a pen, you are only limited by imagination. The captive ring was made by taking a very cheap skew and sharpening it to a much longer point so it could reach right under the ring as it was forming. You can buy dedicated captive ring chisels – never tried one (yet), but the basic tool still achieved a perfectly good ring. For very fine detail, a set of mini turning chisels can be quite effective, but again not critical – I got these more for dollhouse furniture than pen turning. 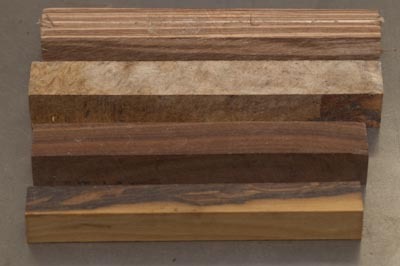 The blanks themselves can be either timber, acrylic, bone, horn, metal (cartridge) etc etc. Acrylics are interesting to work with, producing some quite colourful results, but I never feel like the pen is fully my own, and it won’t until I get into producing my own acrylic blanks. This isn’t too difficult, but I need to learn how it is done so I can really feel like some of these pens are really fully my own creation. You can get very elaborate with blanks. 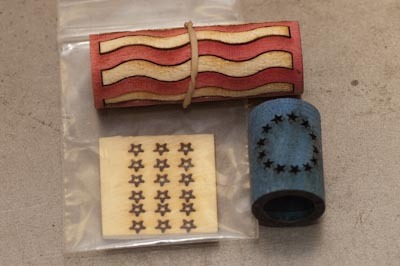 This for example is a laser cut kit from Rockler, and is a development of the segmented turning concept. Pens made from these sorts of kits are also very interesting, but you are nervous the entire construction because of the cost of the ‘blank’ (around $US50 for this one, and the one below).